Top amateur golfers are set for a bittersweet finish to The Open championship at St. Andrews in Scotland. 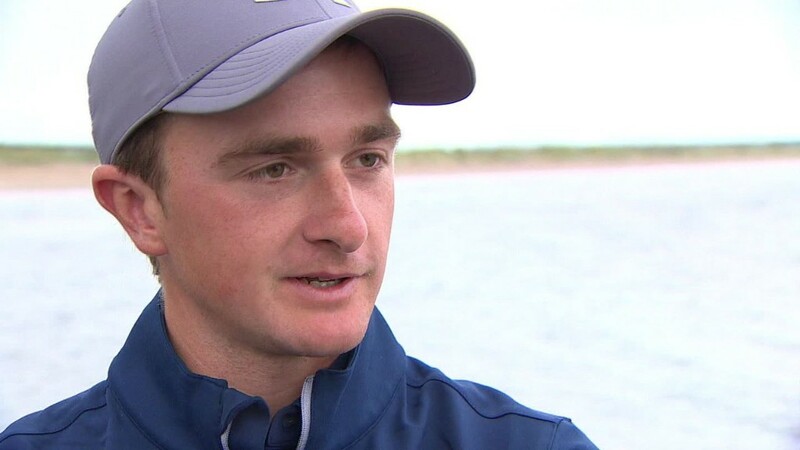 Paul Dunne and Jordan Niebrugge are among a handful of amateurs performing way above par on the competition's final day on Monday, but because they're not professionals they won't be allowed to claim any prize money. Zilch. Zero. Nada. According to the rules, any prize money can only be awarded to professional golf players. It's a juicy prize at that. The winner should walk away with £1.15 million ($1.8 million). And any professional golfer finishing in the top 70 places will earn a share of the £6.3 million ($9.8 million) purse. Even the lowliest prize is worth £14,500 ($22,550). With six holes of his final round to play, American hotshot Jordan Spieth -- who "turned pro" in 2012 -- was poised in third place to earn a healthy check. Dunne and Niebrugge could miss out on more than $100,000 each, assuming they hold their positions in the top 10 over the rest of the day. 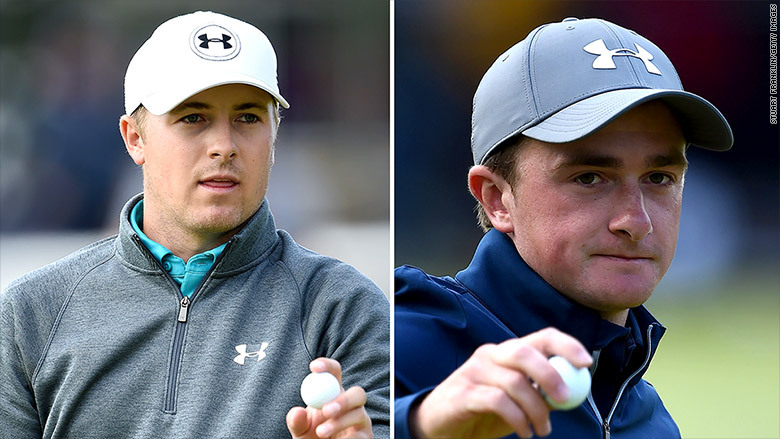 Pro golfer Jordan Spieth, left, will be allowed to pocket his prize money. But his amateur rival Paul Dunne will leave empty handed. But even though they're forgoing the prize money this time, it may be the smartest option, said Nigel Currie, a sponsorship consultant and sports marketing expert. "Turning professional is a huge decision for any player. Once you do that you turn your back on other career options and are then relying on earning a living playing a sport that has been your hobby. For many players it doesn't work," he said. Dunne had previously been leading the competition on Monday morning. His success at The Open raised awkward questions about how the cash should be doled out if the 22-year old went on to win. The awards committee was discussing the issue as the competition got underway, a spokesman for the organizers told CNNMoney. According to Bleacher Report, the last time an amateur won the historic tournament was in 1930. The winner -- Bobby Jones -- has been called "the greatest player who remained amateur to ever play the game," according to the official website for The Open. Dunne is currently ranked 80 by the World Amateur Golf Ranking.